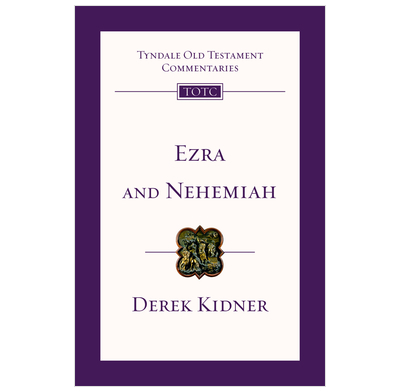 Derek Kidner's commentaries on the Old Testament history books of Ezra and Nehemiah. 'The chequered story of the Kings, a matter of nearly five centuries, had ended disastrously in 587BC with the sack of Jerusalem, the fall of the monarchy and the removal to Babylonia of all that made Judah politically viable. It was a death to make way for a rebirth.' So begins Derek Kidner's commentary on the books of Ezra and Nehemiah, which chart the Jews' return from exile to Jerusalem and the beginnings of that rebirth. As the drama unfolds, above all and through all, we see the good hand of God at work.